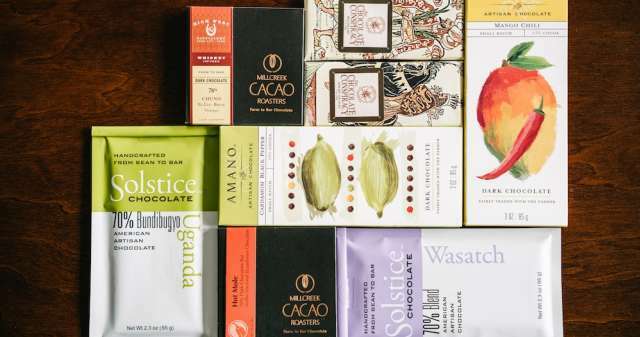 Believe it or not, Utah produces some of the finest bean-to-bar chocolate on earth. When you think of Utah, the phrase “greatest snow on earth” is likely to come to mind. And it’s true; our unique high desert climate produces the finest powder skiing imaginable. 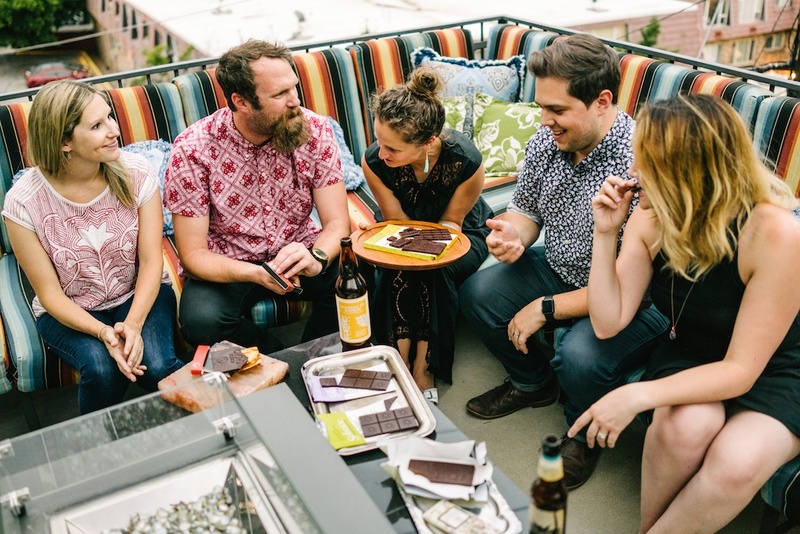 A phrase you probably haven’t heard in relation to Utah is “greatest chocolate on earth.” It’s hard to nail down exactly why or how it happened, but Utah’s cultural climate has quietly enabled a craft chocolate revolution with Salt Lake at its epicenter. 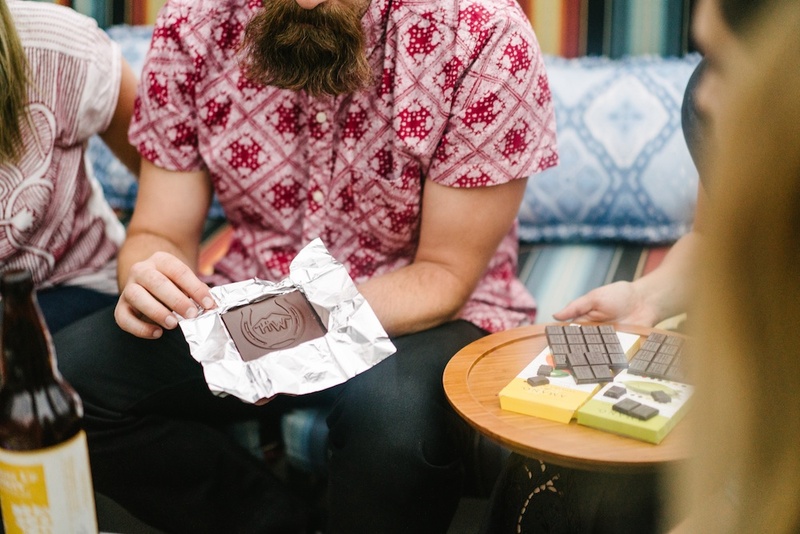 Utah has become America’s craft chocolate capital. 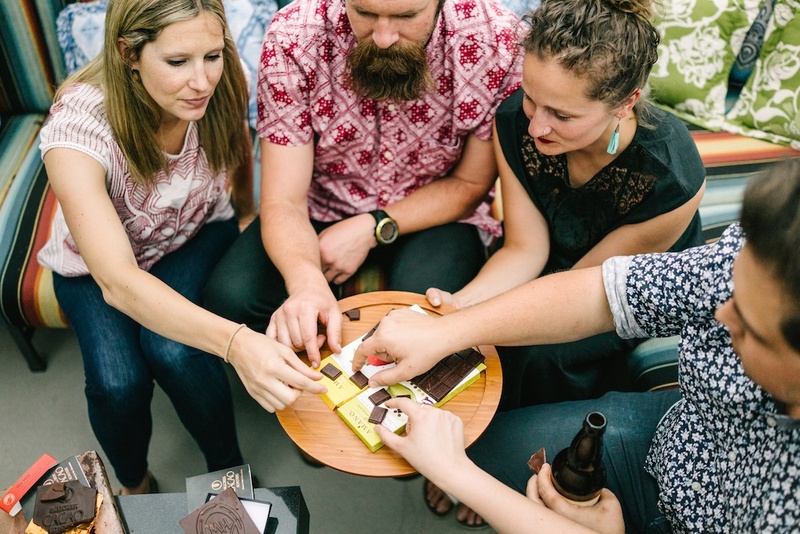 All told, there are currently 8 bean-to-bar craft chocolate companies in Utah, most of which are in Salt Lake or Utah Valley. 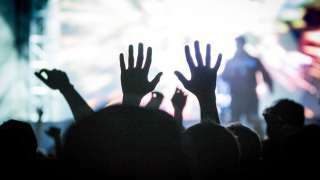 If you were really on a binge, you could visit all 8 in a day. But, if you’re not feeling the all day tour-de-chocolate, the easiest way to get your hands on samples from all of Utah’s craft chocolate makers is to stop by Caputo’s Market & Deli in downtown Salt Lake. Thanks to Matt Caputo’s chocolate obsession, Caputo’s boasts the largest array of craft chocolate in the country—he also teaches classes on fine chocolate when you’re ready to get savvy. 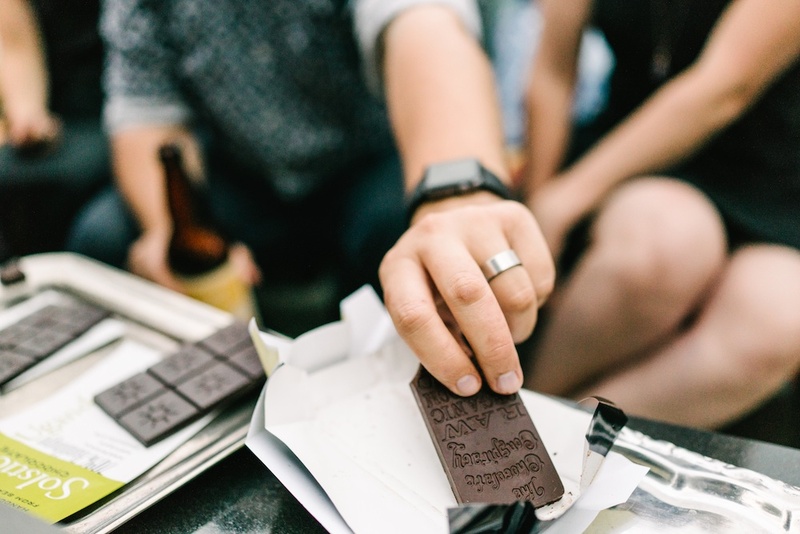 There’s even a Utah Chocolate Society where local fanatics can come together and geek out on all things chocolate. In short, it’s a thriving scene. We stopped by the market, picked out bars from 4 of the 8 local makers, and did a little taste testing of our own. *A note on what makes ‘bean-to-bar craft chocolate’ different from any other chocolate: Bean-to-bar chocolate makers start with raw cacao beans and transform them, through a tedious process that’s both art and science, into a bar of chocolate. 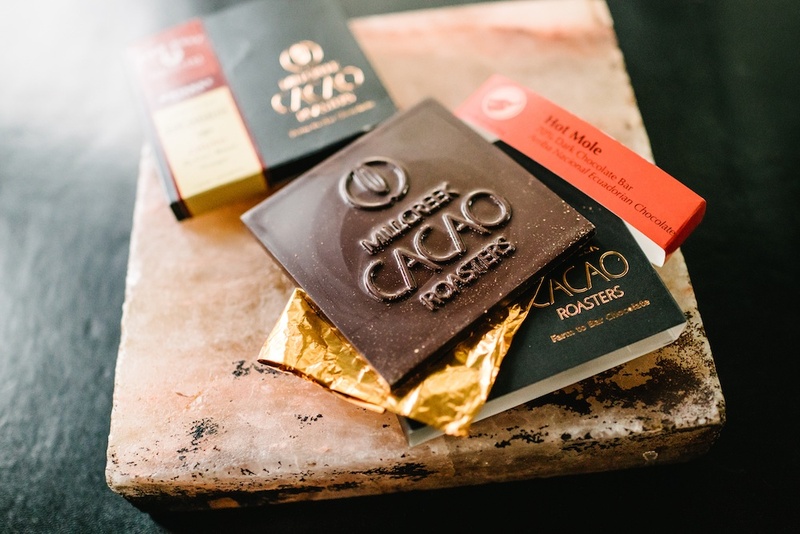 Just as different varieties of coffee beans or wine grapes from different parts of the world have their own unique characteristics and flavors, the same is true of cacao beans, and craft chocolate makers go to great lengths to highlight each beans unique qualities. Mainstream ‘big chocolate,’ on the other hand, uses poor quality beans from all over the place that are roasted way too dark and mixed with lots of other ingredients to create a general, chocolate-like flavor. Matt Caputo doesn’t even call it chocolate; he calls it “vanilla flavored candy.” The takeaway is that there’s a wealth of culinary discovery to be had in good chocolate. So get down to Caputo’s, pick out a few bars, and start your journey. Art Pollard, the founder and head chocolate maker at Amano Artisan Chocolate, doesn’t believe in compromise when it comes to his chocolate. Creating the finest, highest quality chocolate possible is all that matters—and the ethos has paid off. 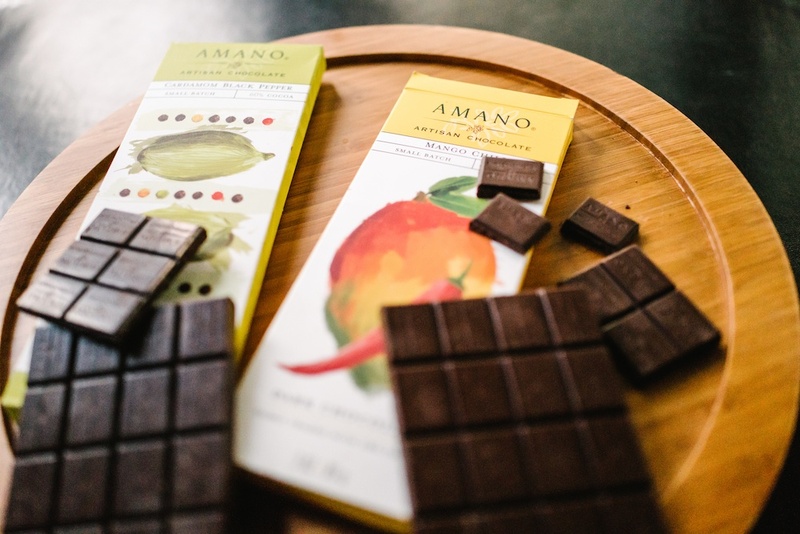 Amano is the most highly awarded craft chocolate maker in America. Period. The size of the awards list is staggering. We sampled the Mango Chili Dark Chocolate and the Cardamom Black Pepper Dark Chocolate, both are made with just 6 pure ingredients and are simply fantastic. 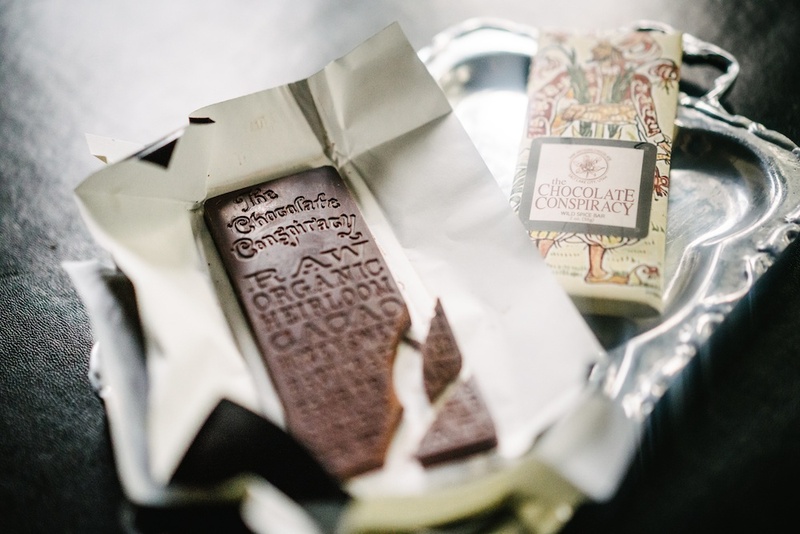 Unlike most craft chocolate makers who are focused on taste and pleasure, the approach taken by The Chocolate Conspiracy is rooted in nutrition, highlighting the fact that raw chocolate is one of the most nutrient dense foods on the planet. The Chocolate Conspiracy uses high quality, raw cacao beans (raw meaning not roasted), and sweetens with raw unfiltered honey. We sampled the Dark Bar and the Wild Spice Bar. The taste, not surprisingly, was more akin to a rich food than a candy, especially with the Dark Bar. Enjoyable, but not in the way you typically expect with chocolate. 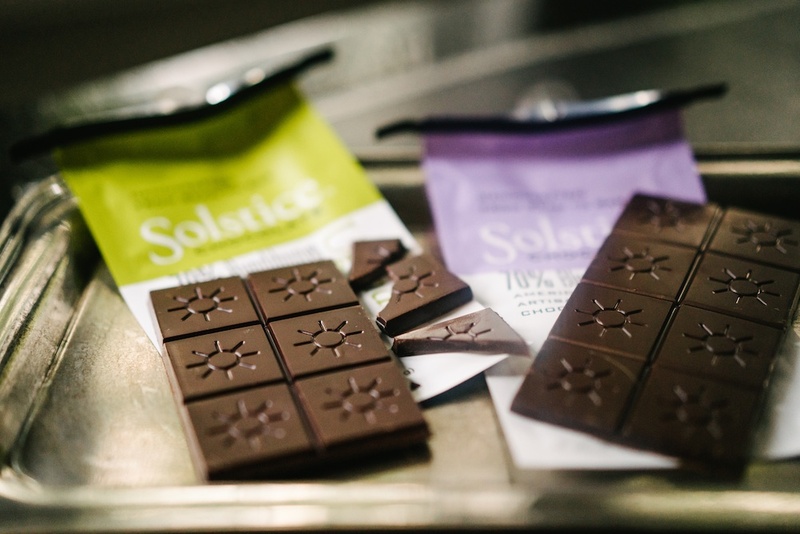 Solstice Chocolate makes you feel good before you even taste it. It’s made in a zero waste, 100% solar powered facility and the packaging is 100% recyclable and re-sealable. All that aside, the chocolate stands on its own as some of the best. 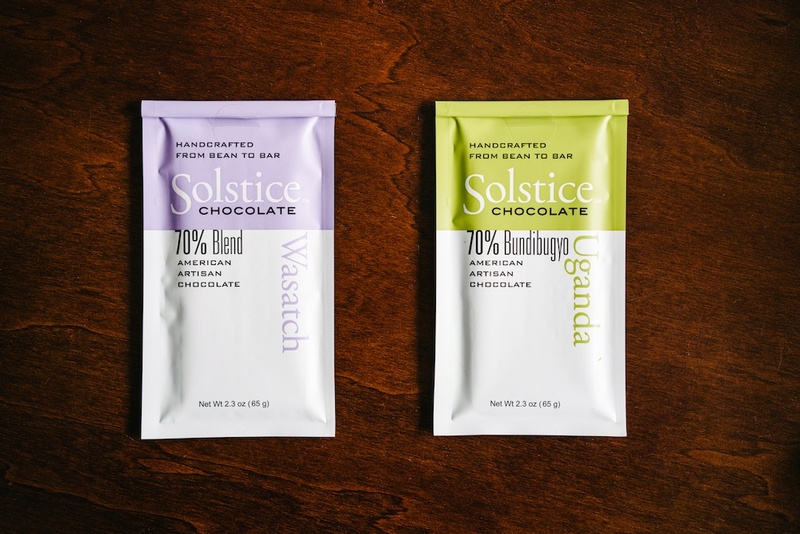 Driven by Scott Querry’s passion for the craft, Solstice Chocolate specializes in single-origin bars, roasting on the lighter side with a unique fluid-bed roaster to highlight the unique qualities of the different cacao beans. We tried the Bundibugyo from Uganda and the signature Wasatch Blend. Both were among our favorites. You probably won’t be surprised to learn that Millcreek Cacao Roasters sources heirloom beans directly from farmers around the world. 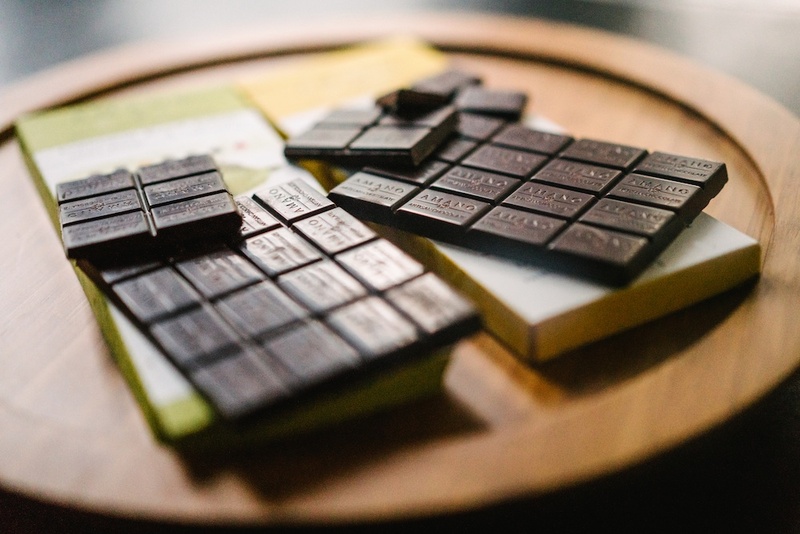 What is surprising to discover, is the unique process Milcreek has developed to infuse the resulting bars with additional flavors without diluting the cacao with additional ingredients: aroma-infusion. While the bars of chocolate cure, the origin of the intended flavor (blackberries or charred whiskey barrel staves for instance) is placed nearby. The result is impressive. The Chuno High West Whiskey Bar we sampled had rich, deep chocolate flavors and the smoky essence of whiskey was clearly present—just not in the ingredients list.